So the theme of the week is San Onofre. 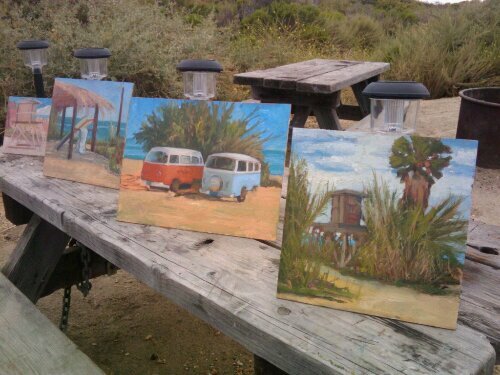 Here Is a collection of what’s been happening so far for the Paint San Clemente event. I’ll tighten the bus painting soon. I see you painting your surf-(paint) mobile in the painting!! Great!! I think you met my friend Laura Wambsgans down there. She said she met someone named Rich and they it was strange how many different places she and Rich ran in to one another!! !